One of the most popular types of pepper used in Nigerian dishes is the scotch bonnet. It comes in different colors and flavors. There’s the Green, the yellow and the Red. Scotch bonnets are exceptionally Hot as they've got more heat than any sane person can handle. The immature ones are green but when ripe, they turn from green to other colors ranging from yellow to red. In the Nigerian local market, the green is rarely seen, the red is simply known as red pepper while the yellow is known as the Nsukka pepper. 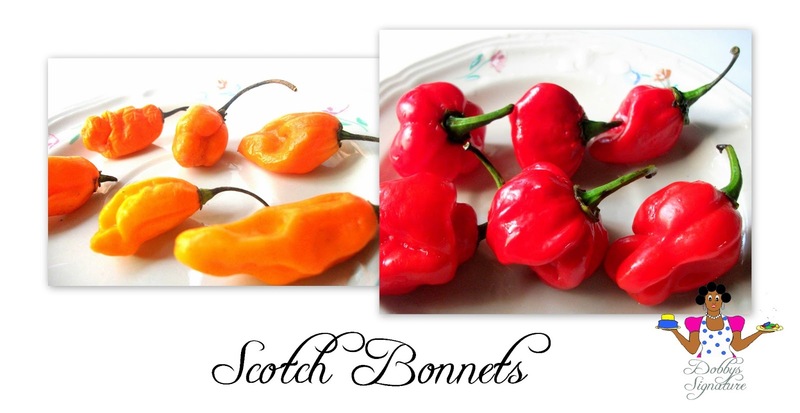 The scotch bonnet pepper seeds are also available for sale in the local market. I actually thought cameroon pepper was dried yellow pepper but when i asked an expert (She sells Scotch bonnets in the market) she told me that it wasn't. Her reason? well she said when the yellow pepper dries up it doesn't turn Brown. Really smart intuitive answer...And i believe her *Winks*. Hallo Dobby, are these peppers the ones also referred to as habanero peppers? Thanks. It's called fresh pepper in Naija. Lol.